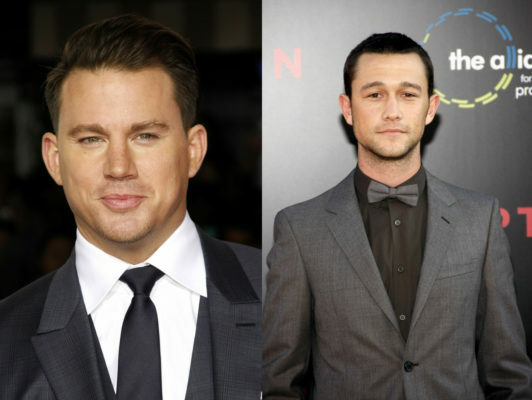 Channing Tatum and Joseph Gordon-Levitt are coming to Amazon. Recently, the streaming service announced the two will provide voices for the upcoming TV show Comrade Detective. Set in 1980s Romania, the live-action cop show parody “is presented in Romanian and dubbed in English—as a Romanian show of that time would have been.” Tatum and Gordon-Levitt will provide the English dubs for the lead roles of Detectives Gregor Anghel and Iosef Baciu, who are played by Romanian actors Florin Piersic Jr. and Corneliu Ulici. Comrade Detective premieres on Amazon Prime on August 4th. SEATTLE–(BUSINESS WIRE)–Jun. 29, 2017– (NASDAQ: AMZN)—Amazon Studios today announced Comrade Detective, a new half-hour live action series that will premiere August 4 exclusively on Amazon Prime Video in the US, UK, Canada, Australia, and New Zealand. A co-production with A24, Comrade Detective comes from creators and executive producers Brian Gatewood (The Sitter) and Alex Tanaka (The Sitter) with Rhys Thomas (Documentary Now!) directing and executive producing. Free Association’s Tatum, Reid Carolin (Logan Lucky), Peter Kiernan (Mad Love) and Andrew Schneider are executive producers along with A24’s Ravi Nandan(The Carmichael Show) and John Hodges (Safety Not Guaranteed). In addition to Tatum and Gordon-Levitt, the illustrious roster of talent dubbing other roles includes Jenny Slate (Obvious Child), Chloë Sevigny (Bloodline), Jake Johnson (New Girl), Jason Mantzoukas (The House), Nick Offerman (Parks and Recreation), Fred Armisen (Documentary Now! ), Kim Basinger (LA Confidential), Mahershala Ali (Moonlight),Tracey Letts (The Lovers), Bobby Cannavale (Boardwalk Empire), Richard Jenkins (The Visitor), Debra Winger (The Lovers), Mark Duplass (Safety Not Guaranteed), Katie Aselton Duplass (Legion), Jerrod Carmichael (The Carmichael Show), Bo Burnham (The Big Sick) and John Early (Search Party). “As passionate fans of cinema and television, we have long heard about this genre defining show and are thrilled to work with Free Associationand Amazon to bring it to audiences,” said A24. What do you think? Do you enjoy cop show parodies? Will you watch Comrade Detective?